A 92-year old woman had a full cardiac arrest at home and was rushed to the hospital. 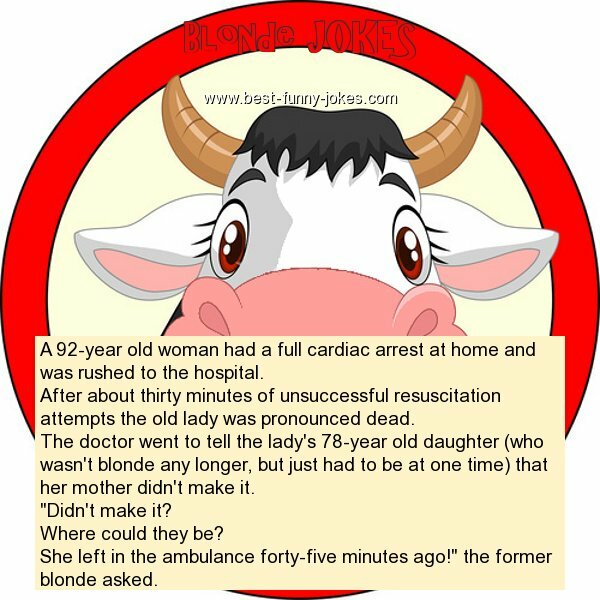 After about thirty minutes of unsuccessful resuscitation attempts the old lady was pronounced dead. The doctor went to tell the lady's 78-year old daughter (who wasn't blonde any longer, but just had to be at one time) that her mother didn't make it. She left in the ambulance forty-five minutes ago!" the former blonde asked.